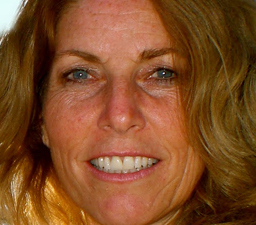 My first “meeting” with screenwriter, feature writer, and book reviewer Heidi Simmons occurred a few years ago while I was reading the Coachella Valley Weekly. I came across a book review she wrote on a short story collection. As a short story writer, I was happy to see the genre being reviewed. That article was the first of a series of four reviews she wrote on short story collections. For the next three weeks, I made sure to pick up a copy of the CV Weekly. I then met her in person at a National League of American Pen Women Palm Springs meeting where, as the featured speaker, she discussed the crafts of writing and screenwriting. I was impressed by her energy, expertise, and commitment. We met again at the recent Desert Writers Expo. Please tell us a bit about what you do. Screenwriting is my first love. Besides screenwriting, I am a feature writer and write a weekly Book Review column for the CV Weekly – Coachella Valley Weekly, an arts and entertainment paper in print and online. I write web content and specialize in “professional persona” content. That is, I write for professionals in a first person narrative for public relations in electronic and print media forms. I enjoyed and appreciated a series of four articles you wrote in July 2012 for CV Weekly called “Short Stories for Summer.” You reviewed these collections: Suddenly, A Knock on the Door by Etgar Keret, Among the Missing by Dan Choan, The Girl in the Flammable Skirt by Aimee Bender, and Working Backwards From the Worst Moment of My Life by Rob Roberge. I’m curious. What is it that attracts you to be a reader of the short story genre in general? The short story attracts me for many reasons. Mainly, I love a short story for what it can do in a short period of time. Whether the story is about a singular moment or a lifetime, it’s self-contained in fewer pages. Like a piece of music, a good short story is carefully orchestrated. Every sentence matters, every word counts for something. The intentions of the author are ever-present. I also like that a short story does not necessarily require a traditional plot. A short story can be about a single idea. It can be a metaphor, or a confession. The possibilities are endless. It’s thrilling to think where a short story can take the reader. And the beauty is: it doesn’t have to be told in hundreds of pages. Something drew you to each of these collections, which leads to this. What was it? What do you look for when you review a short story collection? As when I review any book, fiction or non-fiction, I look to be engaged and entertained. I crave a compelling narrative, short or long. I especially love new ideas, a fresh perspective and insight. I want a story to pop and sizzle, but I also like when a story slowly creeps up on me. All of the above authors are fearless storytellers. They dig in and they never back down. Each goes all the way with an idea or character. 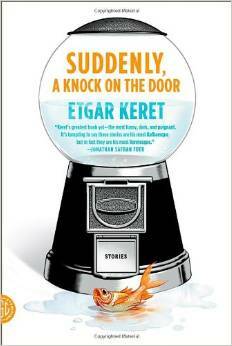 Keret and Bender use magical realism (a fantasy element) in several of their stories, which is fun to read, and ads a layer of metaphor or ambiguity. That kind of writing makes the reader consider what the story means and allows for multiple interpretations, which is exciting. 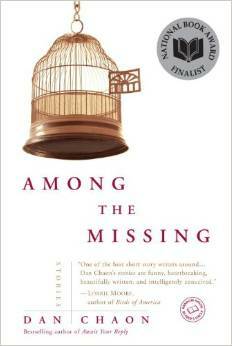 Your reviews focused on short story collections by one author. Would you say you prefer one author collections over anthology collections by a variety of authors? Please explain. I like a collection from a single author because I think the read becomes greater than the sum of its parts. In a way, the best collections crescendo. Often, the stories start to inform a greater meaning. Which I love! I’m never sure if it’s intended by the author, but I like it. It’s not at all necessary that the stories or characters cross over, but I don’t mind when they do. What I really enjoy is to get a sense of the author’s voice. I do like and have many short story anthologies, but I have not reviewed them. Perhaps I will. Collections are a great way to discover new writers. I like anthologies best when the content is around a subject or theme. Who would you say is your favorite short story author, living or not? Why? Flannery O’Conner, Raymond Carver, dead. Richard Ford, Rob Roberge, Lorrie Moore, alive. They all get the short story. What they do best is share a secret — they let the reader inside a private world. They introduce you to a place and people and then you’re on your own. Deal with it. They dare you to judge, to criticize and to evaluate the world they’ve let you into. There’s no agenda, they’re not out to change the world, these authors only want the reader to look at the story closely. 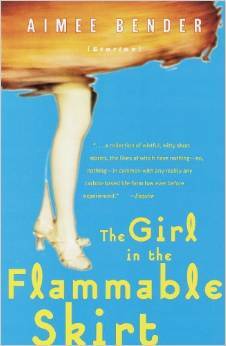 Good short story authors peek under the skin of the human condition. I love it! Do you have a favorite short story? What makes it stand out in your mind? From the books above, I like Rob Roberge’s “Swiss Engineering” and “Working Backwards From the Worst Moment of My Life.” These stories are so rich in texture and emotional depth. But the reader won’t find anyone crying. Roberge nails an interior struggle without ever defining it. His characters are mostly unaware of why they do what they do. Perhaps that is where the story begins. His characters are not into self-evaluation. Self-deprecation, self-loathing, self-destruction maybe, but they’re not into self-analysis. The reader is left to decide and that’s what I love. I want to discover and understand the character based on the information, the clues on the page and between the lines. Is there a memorable character from a short story that has stayed with you? Please elaborate. The Mother, or Grandmother, in Flannery O’Conner’s “A Good Man is Hard to Find.” I don’t think she even has a name. The Mother is so uptight, controlling and passive aggressive. She essentially brings about a self-fulfilling prophecy and destroys her family. Even in the face of death, she can’t stop herself from being a prig. Yet, I feel for her. I ache for the sadness, the loss, her desperation and her poor judgment. It’s fun discussing a character like the Mother because she’s complicated. What made her that way? What clues do we have from the writer that informs us about her condition? How is it that we know her so well? Maybe someone thinks she is not a prig? What can we glean from her grandchildren, son, daughter-in-law or the killers about who she is? This is what makes story-telling so incredible. From a screenwriter’s point of view, what short story adaptations to film do you feel stand out? All movies are short stories when you consider the time constraint. Movies work best for me when they are between 90 and 120 minutes. Stephen King has had many short stories adapted to film. “Rita Hayworth and the Shawshank Redemption” was a terrific adaptation. Also, King’s, “The Body” was made into “Stand by Me.” That’s an excellent adaptation. King is a very visual writer and he writes twists and surprises well, which make his short stories good for film adaptations. Good movies start with good stories! What does a screenwriter have to do that is different from a fiction/short story writer? There is a technical requirement involved with screenwriting. That is, a specific page format must be followed. It’s the blueprint for filming the movie. Screenwriting is a visual medium and at best it’s minimalist – like a haiku. You have to write what can be seen. The basic structural elements are location, action and dialogue. In a short story or novel, the author can write interior thoughts or have an omniscient voice. That’s the antithesis of screenwriting. The screenplay must visually unfold through the actions of the characters . I think a screenwriting course can be helpful to fiction and nonfiction writers to find the theme and better grasp the necessary beats or turning points that make a story compelling. Is there anything else about you or any articles, interviews, projects, etc., you would like to share or tell us about? I would love to see more authors do short story collections. I would like to see publishers embrace more short story collections. Short story collections are certainly a way new writers move into getting a novel published. Which makes sense if novels are what you want to write. I’ve seen where authors later incorporated or expanded their short stories into their novels. I believe some authors are more gifted at the short story and should be encouraged to stay in the genre rather than being forced to produce a novel. Perhaps because books are so expensive, publishers feel more pages or a bigger story justifies the price. Writing short stories is very challenging. It takes work. Just because a story is short doesn’t mean it’s less powerful or doesn’t have significant impact or is easier to construct. As for me, I write short stories and enjoy the process very much. It’s fun to try new voices and points of view. What I like best is when the writing surprises me in ways I never saw coming! Someday maybe I’ll publish them. Meanwhile, I’ll keep reading the exciting art form that is the short story. Thank you, Heidi, for the great interview. And thank you from writers and readers of the short story for your love of the genre. 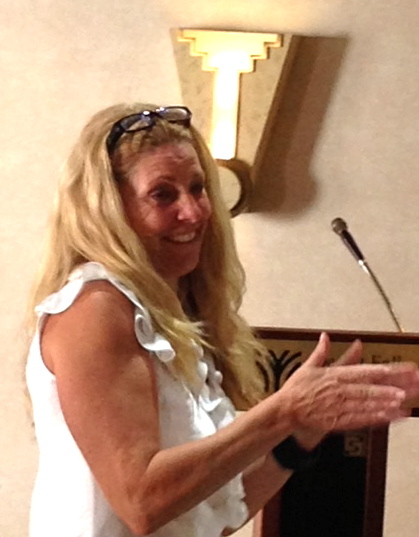 Featured speaker Heidi Simmons at an NLAPW Palm Springs meeting. This entry was posted in Authors, Books, Creativity, fiction writing, Inspiration, Looking for Inspiration, Reading, short story, Writing and tagged A Good Man is Hard to Find, A Knock on the Door, Aimee Bender, Among the Missing, Coachella Valley weekly, Dan Choan, Etgar Keret, Flannery O'Connor, Heidi Simmons, Lorrie Moore, Raymond Carver, Reviewing a short story, Richard Ford, Rita Hayworth and the Shawshank Redemption, Rob Roberge, screenwriting, short story, short story anthologies, short story collections, Stephen King, Suddenly, The Body, The Girl in the Flammable Skirt, Working Backwards From the Worst Moment of My Life. Bookmark the permalink. Hi Judy – Thank you. Glad you stopped by! Thank you for sharing this interview. I loved hearing her insights into what she likes in a short story. I’m going to look for the collections she recommended. Kathy – Yes, the four collections Heidi reviewed are intriguing. I loved the series when she did it. Hope she shares some new collections in future book reviews.